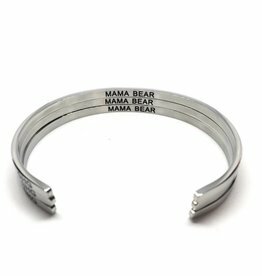 Mama Bear, the unconditional love and protector that comes out from inside us when we become mothers. Sterling silver pendant with mama bear and three baby bears, on an 18" curb chain. Three Cubs + Mama Bear Necklace 18"